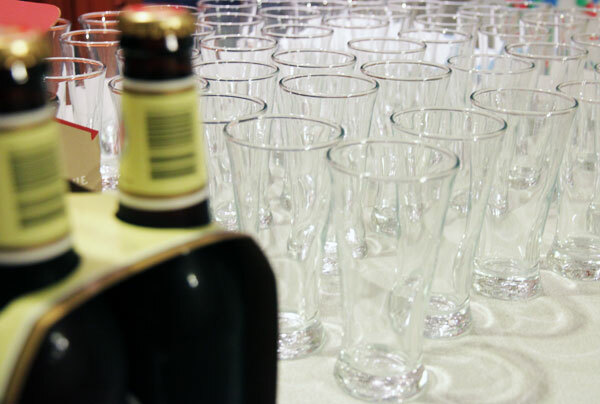 The latest Crafty Pint Blind Tasting Panel was one with a touch of Good Beer Week about it. With the festival imminent – and amongst its attractions the expanded Pint of Origin state-by-state showcase – we decided to pit Aussie against Aussie (with a mere hint of overseas flavour to remain consistent with previous sessions). For the uninitiated, last year’s Good Beer Week saw the launch of Pint of Origin, whereby five venues turned over their taps to brewers from SA, WA, NSW, QLD and TAS. The idea was to give brewers from all over Australia a simple way to partake in the nation’s biggest gathering of beer lovers and to give punters a chance to get their hands on beers they would only otherwise be able to sample by travelling. 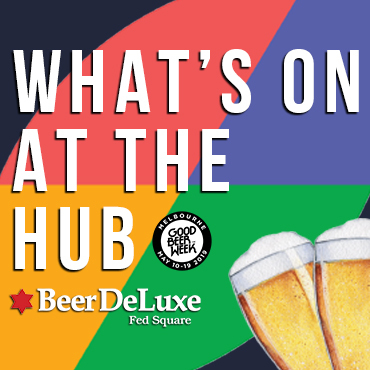 This year, there are seven Melbourne pubs taking part, with Victorian and ACT venues added to the mix, as well as three regional PoO (the abbreviated form of Pint of Origin) pubs showcasing breweries from all over Australia. To get us in the mood, we picked a readily available style – pale ales (predominantly American in style) – and lined up as many as we could reasonably get our hands on from each state. 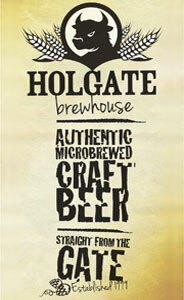 Read our feature on American Pale Ales here. 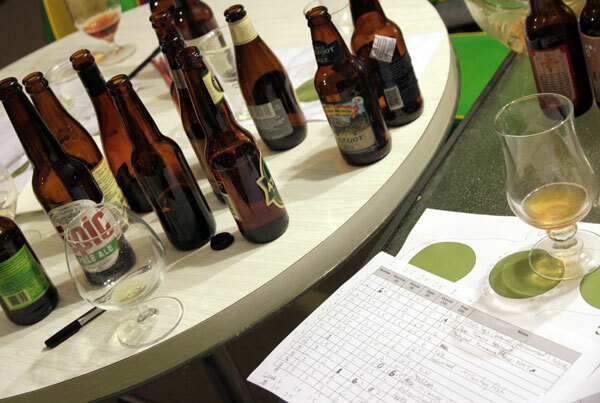 At first, attempts to draw up a list of challengers highlighted something that has become increasingly apparent while doing these blind tastings: that for all the beer being produced by craft brewers across Australia, there aren’t that many readily and widely available in packaged form. That said, when the evening arrived, we ended up with more than was practical so decided to leave out a number of internationals and asking the stewards on the night to prune a couple of Aussies too. The panel consisted of three professional brewers (two of whom had “skin in the game” for the first time), a home brewer, two beer reps and the host. As usual, all beers (where possible) were purchased from bottleshops so they are a fair representation of what Crafty Pint readers can expect to find on shelves. There were a couple of exceptions, as noted below. One panellist wrote on Twitter afterwards: “Shook the very foundations of what I know to be right in this world.” He may have been getting a little dramatic (especially as it’s only seven blokes sat around drinking beer), but it’s fair to say there were more than a few surprises when the reveal took place. Some much-loved classics faired poorly while some newcomers did remarkably well. Murray’s head brewer might wish he’d allowed us to pick up some Angry Man Pale Ale from a bottleshop rather than handing us a five-month-old four-pack from the brewery floor when we were brewing the Auld Bulgin' Boysterous Bicep, while scores suggested one of the two bottles of Kooinda APA that was poured was in a far worse condition than the other, despite both being purchased from the same store. The overriding conclusions that we drew, however, were twofold. Firstly, for the most part, fresh really is best with these sort of beers, with the likes of Hargreaves Hill’s Pale (taken from the just released batch with new branding), Sideshow Ticketbooth (which the bottleshop owner said was just in) and Riverside 55 (which we asked the brewer to bring to us direct from the brewery a week ago as it’s unavailable in Melbourne) fresh and performing exceptionally well. Actually, there was a third conclusion: 20 beers is far too many to do in one sitting, even if scores across the panel were remarkably consistent throughout the evening. Anyway, the results, and a victory for the seventh state as Epic took first place ahead of Hargreaves Hill. As for the state that came out on top when scores were averaged, the crown went to the rapidly emerging NSW scene. Please note, however, that while there were multiple beers from Victoria and New South Wales, there were only two from WA and SA and one representative from each of Tasmania and Queensland. NB: If you were to switch a couple of beers from the state their brewing company claims as home to where they are actually brewed under contract, the order of the states changes. So, some interesting outcomes for sure. You can read the results of our last panel on Saisons here, from where you can access prior results. “We’re living the everyman’s dream!” as the first flight is presented, tunes playing in the background. Next up in June: something dark for winter.